Given recent problems with several Western “expert” commentators in the fields of intelligence, counterterrorism, and asymmetric warfare, we know that many of our readers are anxious to find an authority they can trust. Rather than risk engaging with yet another bugus fly-by-night camera hound, we have recruited a genuine terror specialist. We are proud to introduce our new intelligence, terrorism, and asymmetric warfare expert, Sheik Mullah Ali Baba Mohammed Fuqwahdi al-Lansingi, a.k.a. Sheik Mo. After retiring to America from an exciting life of Mideast terror exploits, Mo has agreed to join our staff to help Westerners better understand the real world of terror and asymmetric warfare. 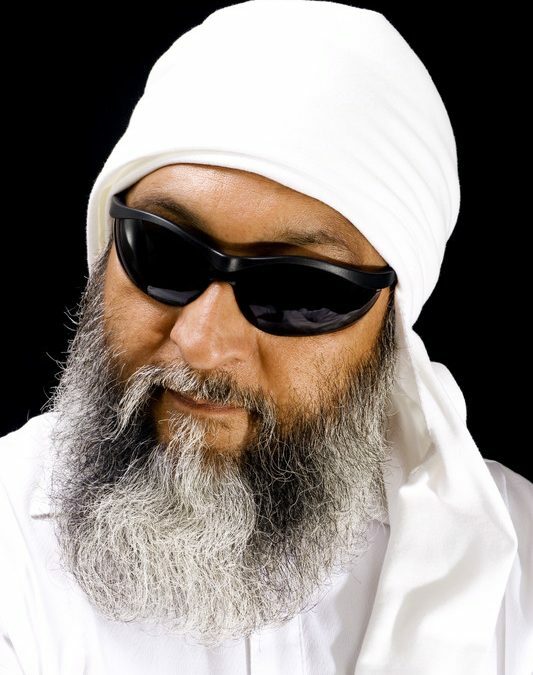 We’re here today in one of modern Islam’s cultural hotspots – downtown Lansing, Michigan – with Sheik Mullah Ali Baba Muhammad Fuqwahdi al Lansingi. In his first ever interview, Mo gives us an insider’s analysis of the ISIS phenomenon in Syria and Iraq. Sheik Mo, thanks for joining us. Hey, Jay and Piper, thanks for having me. It’s so nice to be seeing you again. 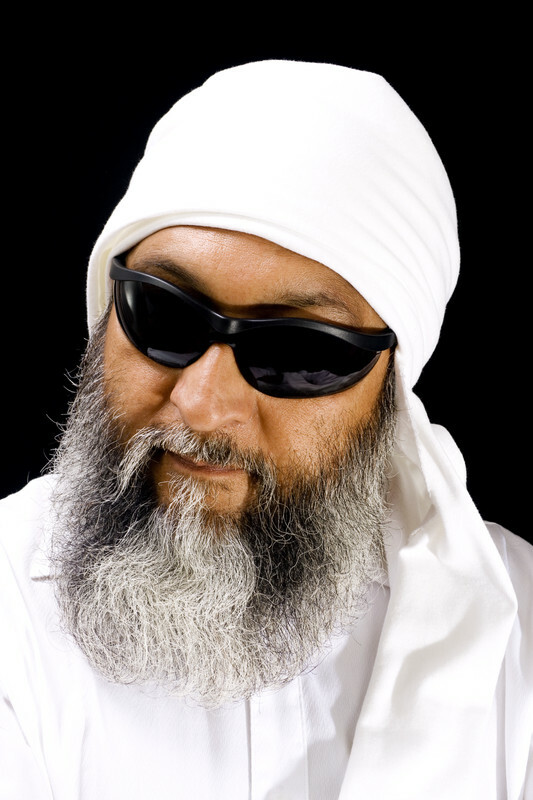 Sheik Mo, can you offer an expert analysis of the ISIS phenomenon in Syria and Iraq? I am so glad you asked me this question. These so-called ISIS, IS, ISIL – whatever the daesh are calling themselves today – they are an embarrassment to honest, hardworking Mideast terrorists. Every time you turn on the TV, they are beheading more Muslims and burning more villages. Where did these idiots study terrorism? They don’t even know who to attack! In my day, we knew who the enemy was . . . Well, at least we pretended to know, and we kept things straight from week to week. With a few AK’s and discount explosives from East Germany and Czechoslovakia, we got big results. We were elite groups. We trained for years before going on our first missions. Now these ISIS types give any hash head that shows up a pair of black pajamas, and next thing you know they are parading in front of cameras, screaming like drunken English soccer fans. It’s embarrassing to the entire terrorist industry. They can’t even scream “allahu akbar” properly. Do you hear them? It’s terrible. I’ve seen better terrorists at the local preschool. And these so called ISIS monkeys like all the publicity. In the old day, no self-respecting terrorist made videos. What’s next? ISIS book signings in London? Are they entering a float in the Rose Bowl parade? Yet, they have captured a lot of territory, and they seem to keep recruiting more members. ISIS claims they are the new Islamic conquerors. They call themselves the “new caliphate” and the “new Islamic champions.” How should the West respond? Well, of course, the West should oppose them. It’s always good to bomb people like that before they all get too comfortable. And anyway, with so many new models of drones competing for defense contract money all over the world, you have to test those drones somewhere. Nice videos of drones defeating a surplus Humvee on a test range is only going to sell so many. The West needs to use the advertising value from drone strikes on ISIS. A video of an ISIS convoy blowing up has sales power. By the way, you need drones? Come see me. I have a brother-in-law that works for a defense contractor. I get you wholesale, even on small orders. No cheap Chinese junk. Only the latest drone fashions. But please, “the new caliphate?” “The new Islamic champions?” No way. They only invade Muslim countries. It’s all a big fraud. You want a real Islamic conquest, you have to invade some high value real estate. When they capture Marbella and Manhattan, let me know, and I’ll buy some black pajamas. For the West the answer is simple. More drones. And when they have nice big ISIS parades for the cameras, you drop lots of bombs. Remember, bombs have a shelf life. Why waste them dropping them in deserts in Nevada and New Mexico when you can drop them on ISIS? What about the Kurdish fighters that are opposing ISIS? Well those Kurds are serious fighters. You give them almost nothing and they show up and fight. 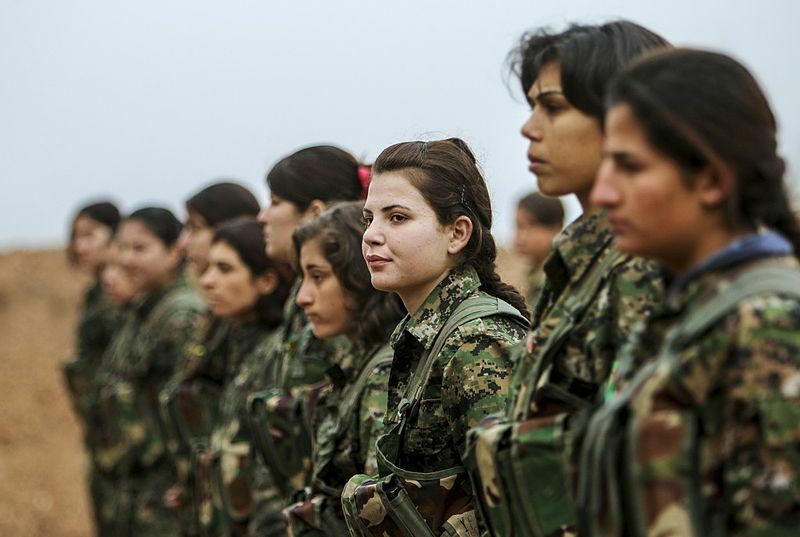 When those ISIS clowns invaded the Kurdish region, a bunch of Kurdish farmers and girls beat the hell out of them. It was embarrassing! They call themselves big league terrorists? In my day we didn’t get beat up by girls! Image by About SLIMANY, wikimedia commons. But you know, many bigshots in the West don’t want to arm the Kurds because the Kurds will declare independence, and that Erdoğan guy in Turkey don’t like that. And if the Kurds declare independence in Iraq, what does that leave? That leaves you too many Iranian carpet merchants and amateur politicians in Iraq! The Kurds don’t need Baghdad, but Baghdad needs the Kurds. 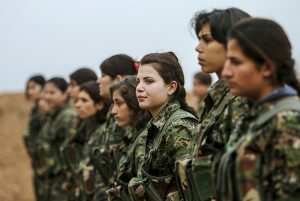 Otherwise, you could send the Kurdish women’s soccer team to Syria with a few hand grenades, and they would take care of business. Sheik Mo, thank you so much for joining us today. We look forward to our next interview with you concerning Afghanistan. In the meantime, we wish you the best of luck with your new defense contracting business. Okay, Jay and Piper, and best wishes to your readers. Next time I’ll be contacting you from my new mobile communications and command center. We look forward to it. Thanks again, Sheik Mo. And there you have it folks, a genuine insider’s view on ISIS. Amidst the laughter, the seeds of truth. Too funny. I like the Kurdish women’s soccer team.